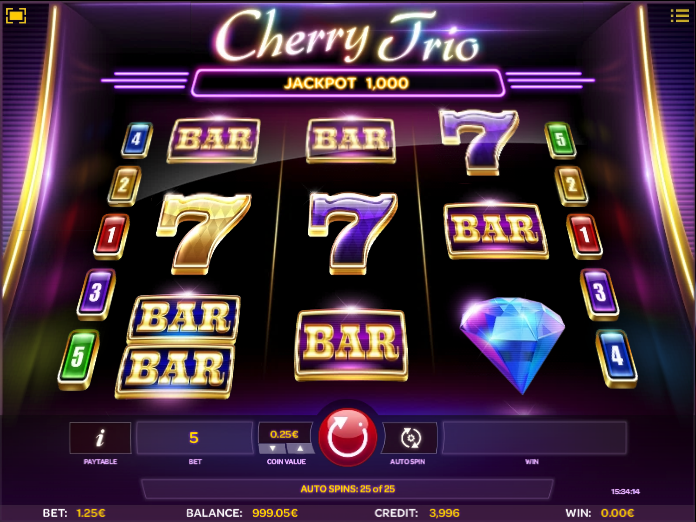 In general we would have to say that we prefer the complexity and extra excitement of a five reel online slot but here we have a three reeler which combines some classic gameplay with state of the art graphics to offer something a little different; it’s called Cherry Trio (which may have been a Little Chef dessert), it’s developed by iSoftBet and it’s all explained below. 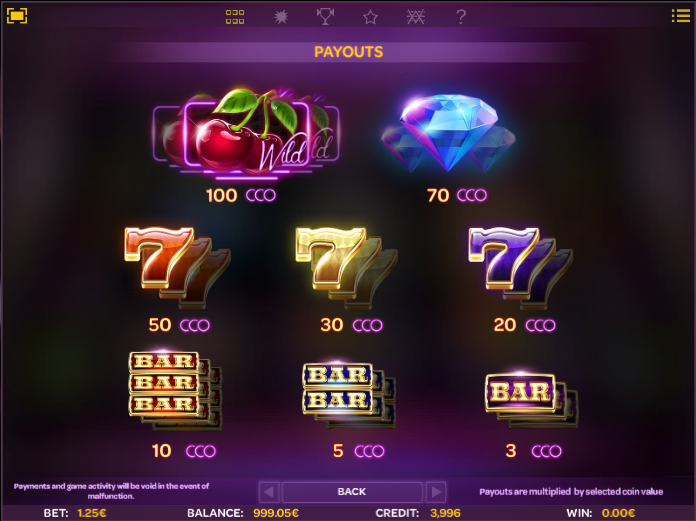 Cherry Trio is a three reel slot with three rows and just five paylines; it’s designed to replicate a physical slot machine but it’s enhanced by a purple colour scheme and flashing lights above those reels. There are some traditional symbols here and they include a blue diamond, red, sevens, gold sevens, purple sevens, single double and triple bars. The cherry is wild and it will substitute for all others to help form winning combinations; it also has some extra features which we shall explain in detail below. Filling all positions on the reels with cherries will award the jackpot prize of 1000x your stake. One Wild Reel – the wild reel wil lock in place and you’ll receive two free respins. Two Wild Reels – both wild reels will lock in place and you’ll receive one free respin, this of course is a guaranteed win.